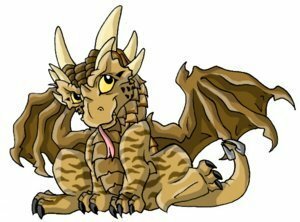 ちび Draco. . Wallpaper and background images in the Dragonheart & Dragonheart 2 club tagged: dragonheart draco chibi. This Dragonheart & Dragonheart 2 fan art might contain 一般的な生姜, カントン生姜, 生姜幹, ショウガ, 一般的なショウガ, カンタンショウガ, 茎ショウガ, ジンギョウオカシ, 生姜, and カントン茎生姜.